"How Long Will Your Oil Last?" Please use my Customer/Tracking number (470077) for the links below when filling out the online forms. Harley Owners Should Choose AMSOIL!! How Do I Know The Test Results Are Valid? Why AMSOIL and not a brand name oil? What About Oil Additives Like Slick 50 And Prolong? Thank you for visiting my site. If you have any questions please don't hesitate to contact me. 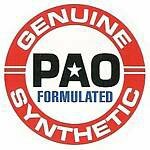 Be sure to inquire about our many wholesale programs for business owners as well as the average joe. Whether you're a car owner looking for premium synthetic lubricants, a business owner looking to add a successful product line to your shelves or a fleet owner looking to cut your operating expenses, we hope you'll find everything you're looking for. AMSOIL provides you with TOP QUALITY products, state-of-the-art research, the best materials blended under the strictest quality control standards in the industry! Laboratory testing shows that AMSOIL synthetic motor oils improve fuel economy. Demonstrated by a New York taxi fleet, AMSOIL's synthetic motor oils, Full-Flow Oil Filters and the By-Pass Oil Filters safely extended oil drain intervals up to 60,000 miles. GM specifies that it's Corvette engine use synthetics for greater performance and engine life, just as Ford does with it's Mustang Cobra, and BMW does with it's entire fleet of automobiles! 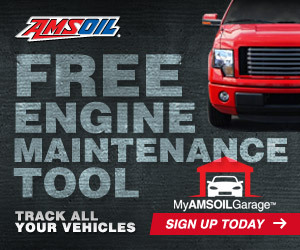 I welcome the opportunity to work with you personally as your servicing AMSOIL Dealer. Note: This website and articles/images contained are Copyrighted © material. Modifying, copying, distributing, transmitting, displaying, reproducing, publishing, or creating derivative works from them without prior consent of the copyright holder is illegal.